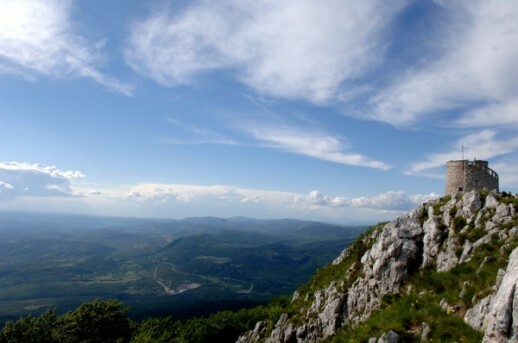 Have you visited Croatian mountains yet? Why mountains? Mountains offer us opportunity to look at the world from above, unfolding new perspectives. When climbing mountains, we strongly experience the present moment and we mindfully connect to our own journey of life. We focus on every step we make, we leave the past behind, we do not think of future. We easily remain in the moment. Let’s start with an exquisite mountain located along the northern Adriatic coast, in the peninsula of Istria – the Učka mountain. Thanks to its distinctive features and protected plant and animal species, this whole area has been proclaimed as a nature park, characterized by a lush forest vegetation, rich meadows as well some rocky slopes. 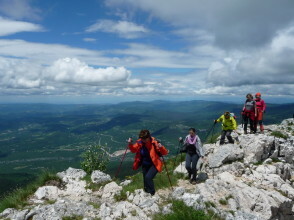 Učka visually dominates the Istrian peninsula and the Bay of Kvarner and to experience one of the most stunning panorama in this part of Europe, climb the highest peak of Učka – Vojak (1401 m). Its stone tower offers a breathtaking 360-degree-panorama of the Istrian peninsula, northern Adriatic islands, mountains in the Gorski kotar region all the way to Venice and the Slovenian Alps. Učka mountain is extended above famous Opatija riviera and many other popular Istrian resorts such as Lovran, all the way to the Plomin bay. There is a hiking trail up from each of the resorts and villages in this area. We recommend one of the nicest and the easiest trails starting from Poklon pass, at the altitude of 917m which can be reached by car. 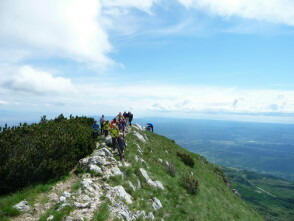 The trail from Poklon is marked all the way up to the Vojak peak, recommended for both beginners and experienced hikers. It will take you through a beautiful forest, especially appealing in hot summer season, thus offering a pleasant shadow and freshness. Nevertheless, you can hike up in any season, a winter time with snowy mountain slopes could also be a tempting experience. 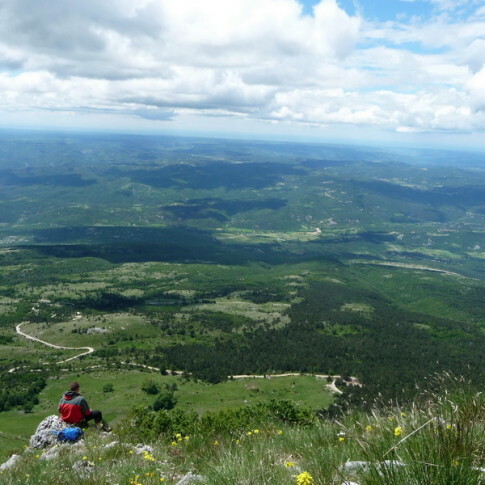 The sights from above are just stunning, do not miss this scenery from the highest peak; picturesque green hills of Istria on one side in addition to blue Kvarner bay on the other side, crowned by mountain peaks of Gorski kotar region.